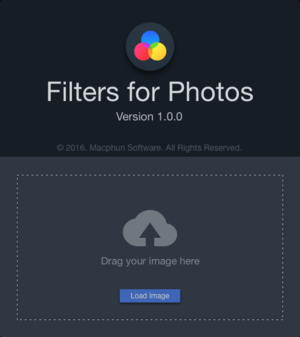 Catch one-click fever as 30 new filters aim to make your snaps shine. Filters for Photos functions as a standalone app or as an Apple Photos extension. 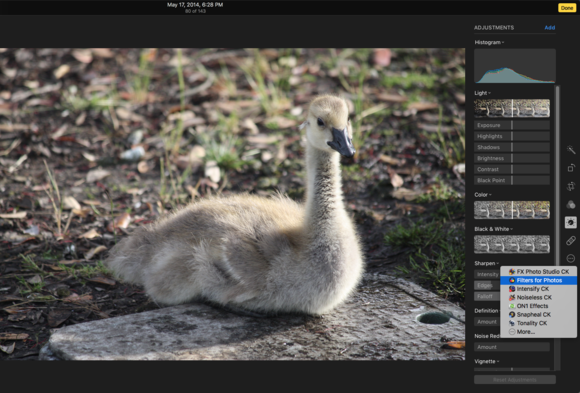 Do you love Apple Photos? If the answer is yes, then Macphun has a present for you. On Wednesday, the company has launched a new app called Filters for Photos, designed to augment Apple’s signature photo editor-slash-organizer by offering some gorgeous new filters to spice up your portraits, vacation shots, and panoramas. 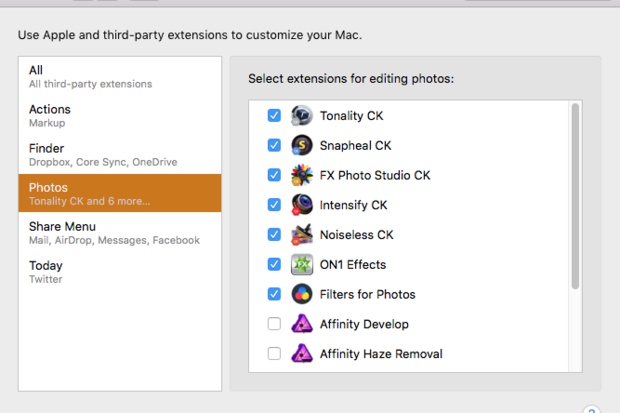 This easy consumer app, which you can use either as a standalone app or a Photos extension, offers up to 30 customizable filters accessed through Photos’ extensions function or via drag and drop. 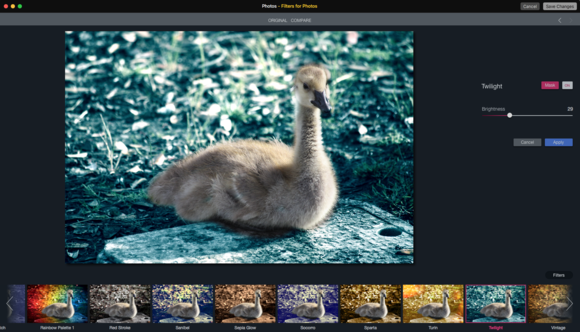 Filters for Photos joins Macphun’s other standalone and Photos app extensions, including Aurora HD, Tonality, Intensify Pro, Noiseless and others, some of which were released in the company’s Creative Kit suite a few months ago. The new filters run the gamut of vintage, black & white, color fantasy, cross process, oil painting, pen sketch, and more. 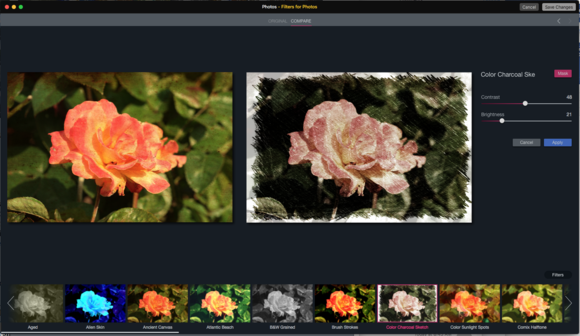 You can apply filters in real time, mix and match filters, adjust the look, and even selectively paint on filter effects. The app shows up in the Extensions menu. 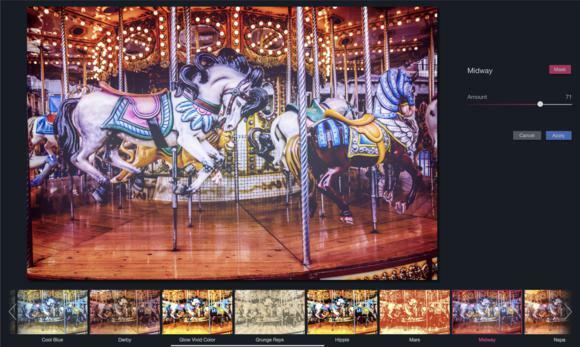 I got a look at a pre-release copy and made a discovery: I wasn’t having nearly enough fun with my photos in Apple Photos. 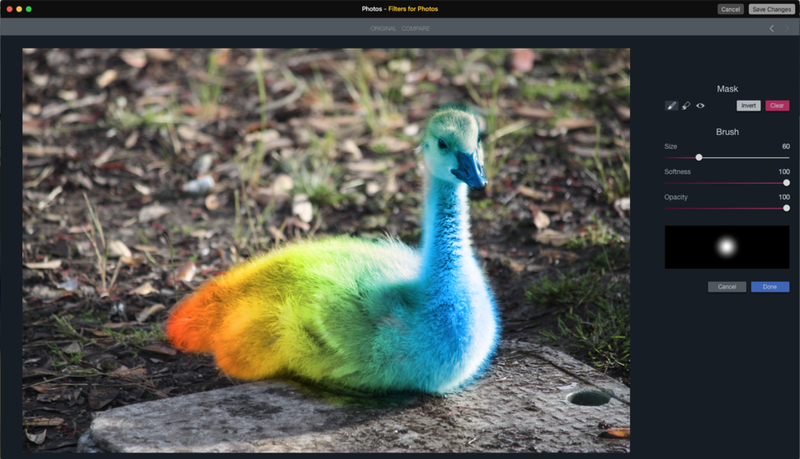 I’m no filter freak, but everyone has shots that could use some help, and Photos has just a few basic filters to choose from. Use a filter’s brush and mask controls to experiment with your pictures. To get started, download and install the app and choose an image you want to play with. 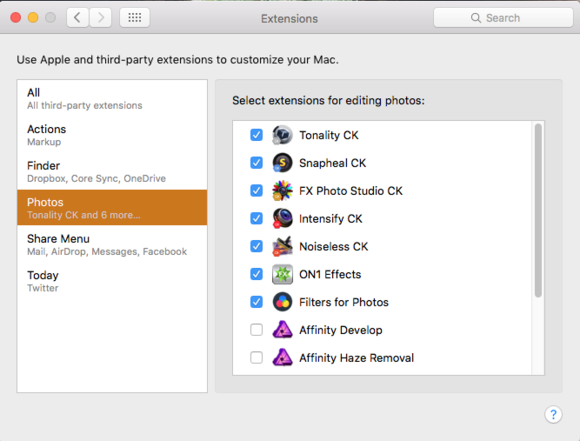 Make sure the app shows up and the box checked in the extensions section within Photos. Then, the panel shows up with your filter choices offering various ways to use them. 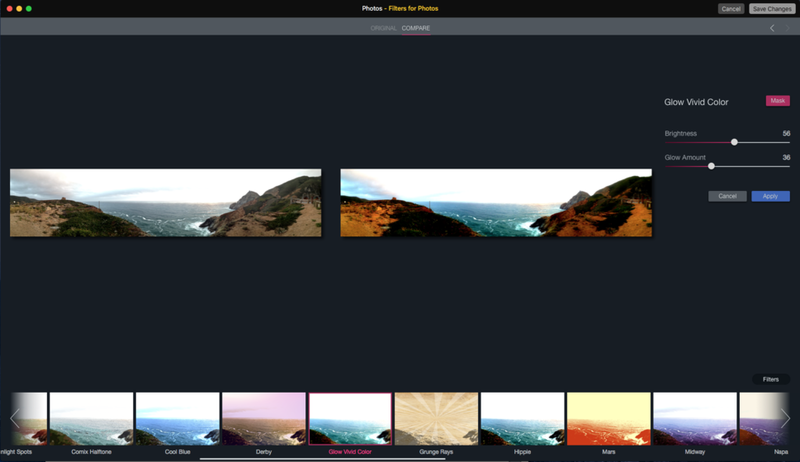 Each filter is customizable. You can use the app’s mask and adjustable brush to paint on and apply effects to different parts of an image. 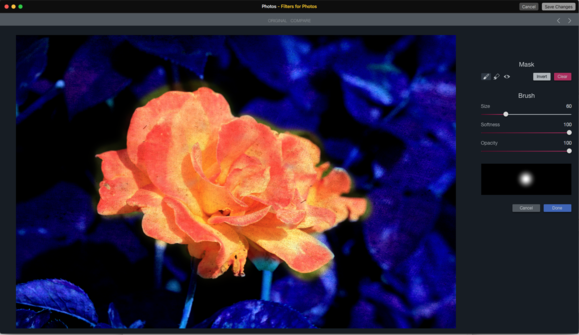 The app also lets you layer effects and preview changes in real time as you work. You can change brush sizes and adjust and tune the filters individually. 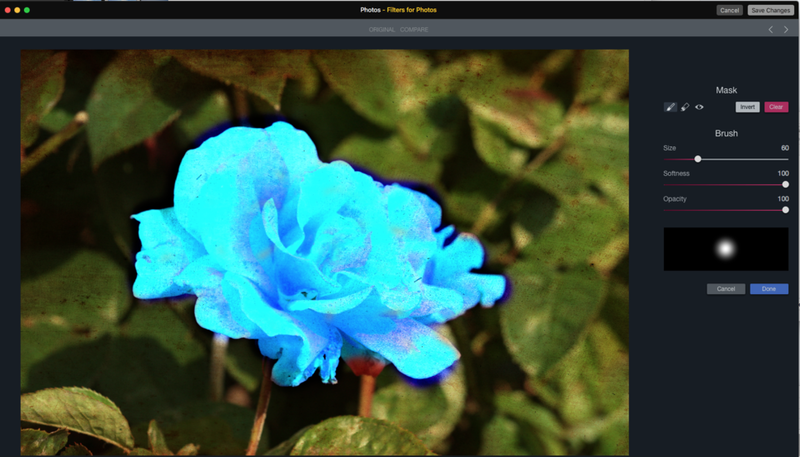 Observe the effects of layered and painted on filters in real time. The Compare button lets you view the original against the edited version, and if you have a large monitor, it’s easier to view the before and after versions on the screen together. Of course, you can revert back to the original whenever you want or cancel the operation so as not to alter your image. The app works with Panos too. 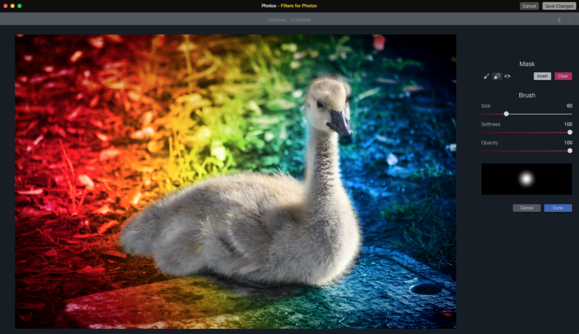 When you’re pleased with your handiwork, you can apply the filter, save your changes, and then export your picture to social media or other software packages. Filters for Photos is available as a free download starting Wednesday. It’s lightweight and fun and can inject a bit of charge into your snaps.